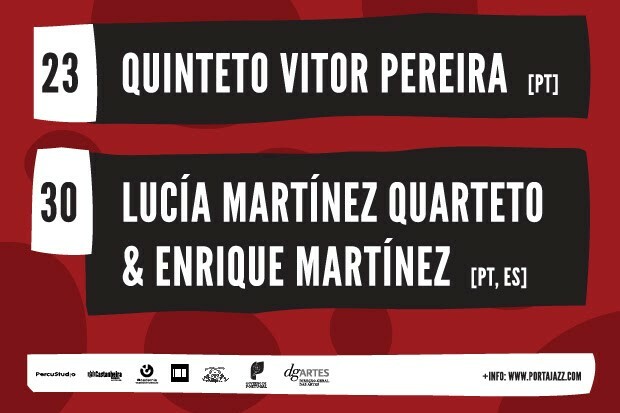 23 Dez :: Quinteto Vitor Pereira :: Sala Porta-Jazz :: Boas Festas! 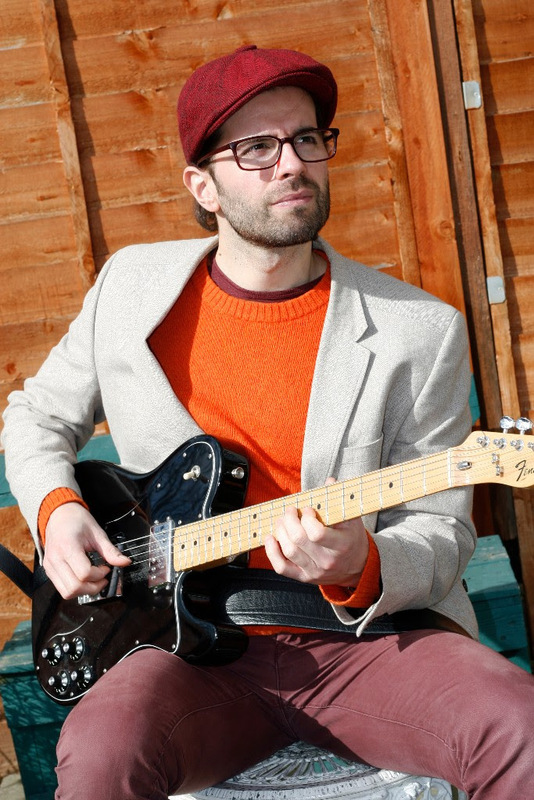 Esta inovadora banda liderada pelo guitarrista Portuense radicado em Londres está na linha da frente do Jazz contemporâneo Europeu. 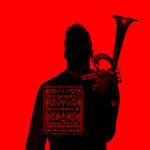 Com dois discos lançados pela editora Inglesa “F-IRE records” este quinteto tem causado sensação por toda a Europa atraindo excelentes críticas da comunidade jazzística mundial. Distinguindo-se pelo som único e energético a sua música revela um vasto leque de influências desde riff’s de rock até ao toque minimalista da música clássica contemporânea. 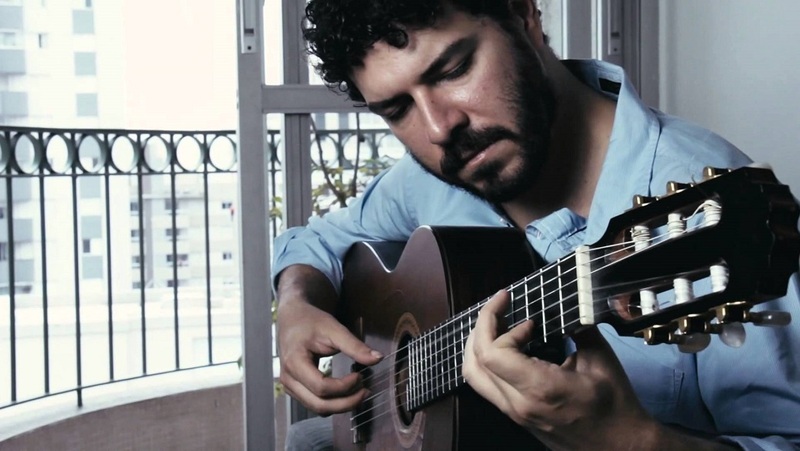 A força das composições e o talento de alguns dos músicos mais proeminentes do jazz Português combinam-se aqui num som sedutor e original capaz de captar a atenção do ouvinte mais relutante. 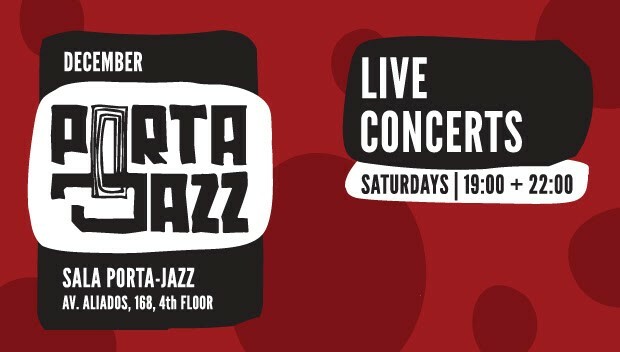 Vitor Pereira nasceu no Porto, cidade onde estudou música e guitarra clássica e onde desenvolveu o gosto pelo Jazz. O seu interesse pelo Jazz levou-o a participar em vários seminários e aulas privadas com figuras do Jazz internacional como Pat Metheny, Jonathan Kreisberg, Gilad Hekselman ou Aaron Goldberg e a mudar-se para Londres após ser aceite pela Middlesex University em 2004 onde concluiu uma licenciatura em Jazz performance. 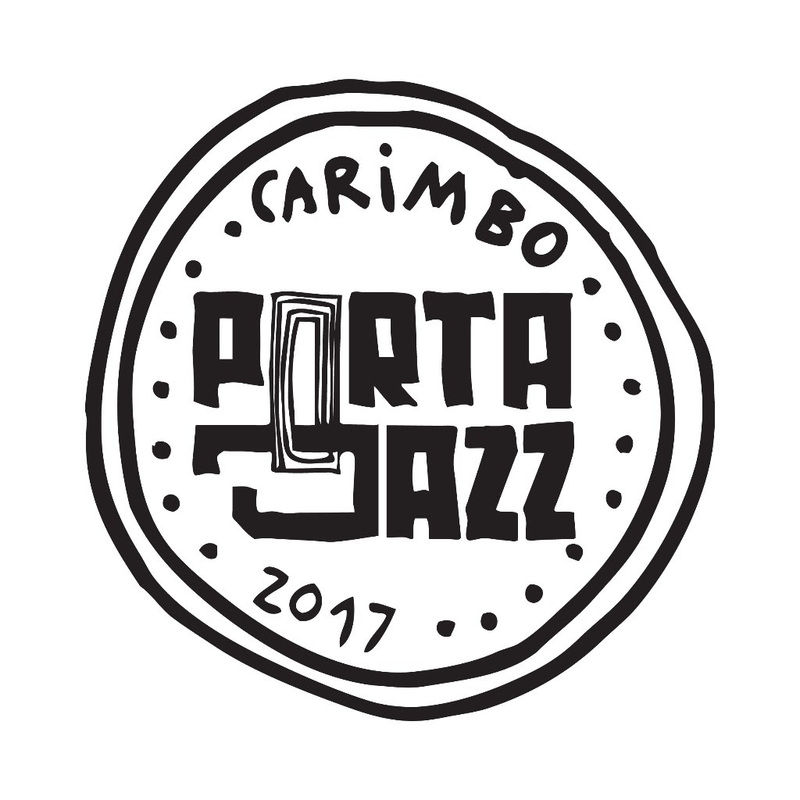 Membros: https://portajazz.com/about/membros/ - cotas válidas por 1 ano: Membro amigo 40 eur; Membro músico/estudante 25 eur. Os discos do Carimbo Porta-Jazz estão disponíveis na sala Porta - Jazz. Deixamos a sugestão para uma prenda de natal! A equipa Porta-Jazz deseja-lhe Boas Festas! 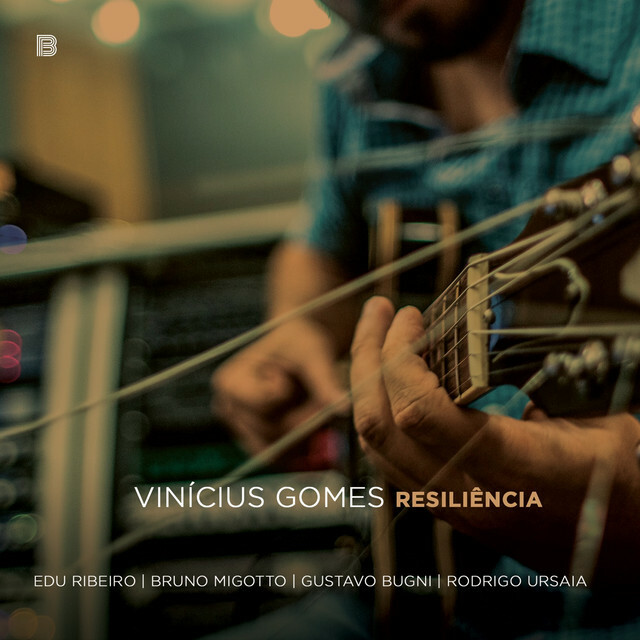 It is already available for download (mp3, WAV and HD) "Resiliência" album, my first work with my own compositions only! It has a total of 10 tracks and 4 great musicians: Edu Ribeiro (drums), Rodrigo Ursaia (sax), Bruno Migotto (bass), Gustavo Bugni (piano), and special part of the drummer Daniel de Paula, trumpeter Rubinho Antunes and a string quartet. 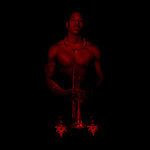 The album was recorded by Blaxtream, idealized by the sound engineer Thiago Monteiro. com a Assistência de Joel Lauand Jr.
exceto ‘Êxodo’, de Vinícius Gomes e Fernando Amaro. 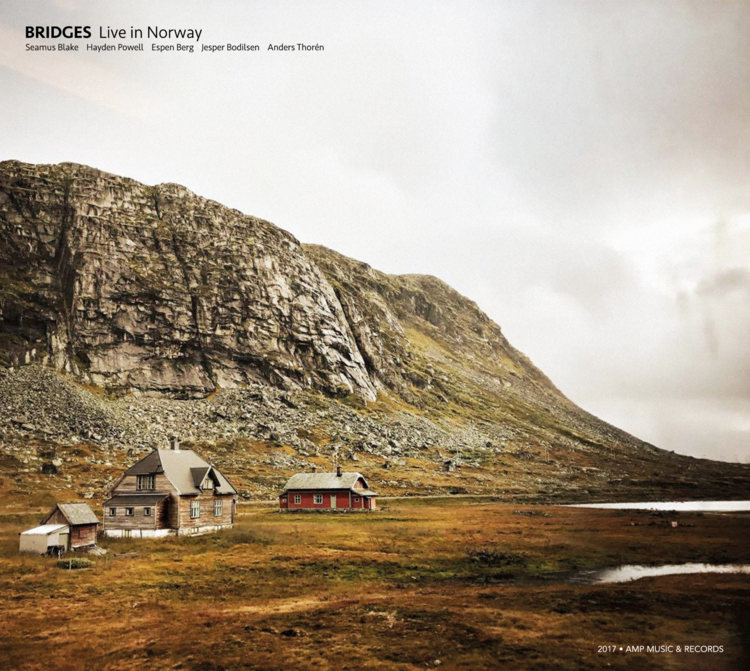 BRIDGES is a modern, Nordic jazz project with a clear vision; a vision to create an expression that is highly unique by constructing new musical bridges between Norway and other parts of the world. The construction of these musical bridges will help to link different worlds of jazz together and ultimately lead to the creation new and exciting music. This digital release is a short documentation of BRIDGES with Seamus Blake´s European tour in Scandinavia, United Kingdom and France during September 2017. It was recorded live in concert at Nasjonal Jazzscene in Oslo, Norway and thereafter mixed by Jan Erik Kongshaug in legendary Rainbow Studio. “Three men, three pianos, one emotion – jazz”. These were the words with which German national TV news succinctly summed up the piano summit on 31st May 2016 in a sold-out main hall of the Berlin Philharmonie – a concert which can now be experienced exclusively on vinyl. And the TV news reporter continued: “Iiro Rantala, Leszek Możdżer, Michael Wollny. Each in a class of his own. Together, they’re a miracle”. Is there perhaps an element of déjà vu in this story? Yes, certainly. Because these were the same three jazz piano greats who had performed at the very first ‘Jazz at Berlin Philharmonic’ in December 2012, the event which triumphantly set in motion the concert series curated by Siggi Loch at the German capital city’s classical music shrine. 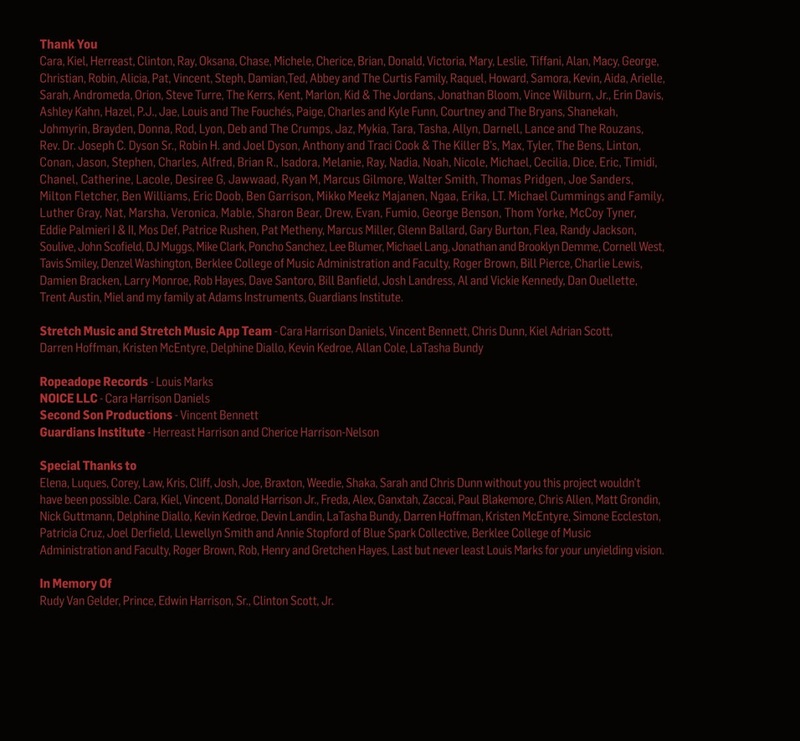 Making this second appearance together were three of the most outstanding and established representatives of European jazz, each with a host of awards to their name. Możdżer, Rantala and Wollny are from a generation which mostly went through the rigours of classical study and therefore have a knowledge of that canon and tradition. 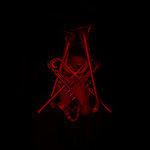 Each of them has ventured from there into the freedom of jazz, and have not just loved it, but also thrived on it. They also grew up, almost inevitably, living and breathing rock and pop music. 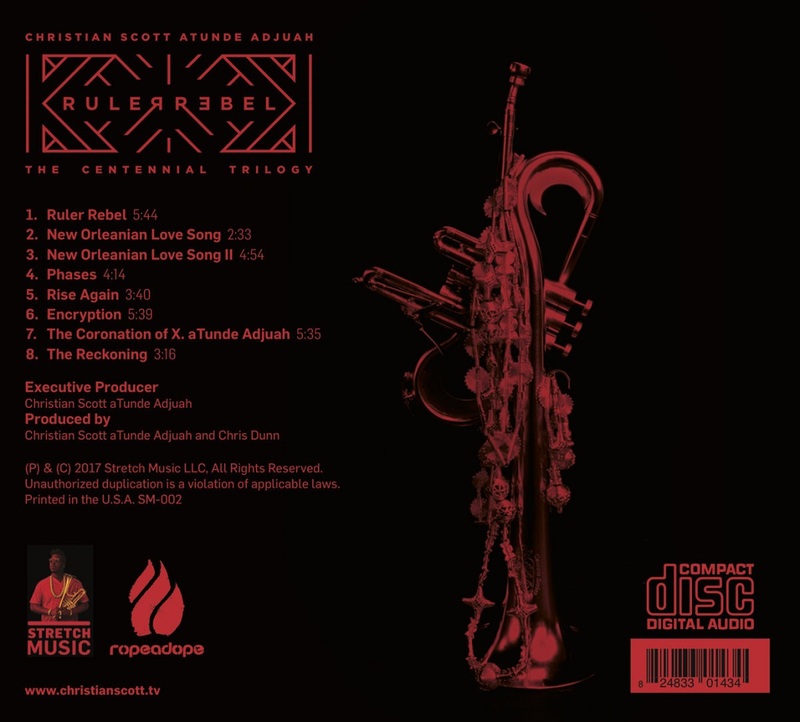 In other words, these are musicians who have garnered experiences in all genres and style, and who simply ‘make music’ that transcends technical barriers, and do it “in the spirit of jazz”, which puts them at one with the basic tenet of the ACT label. 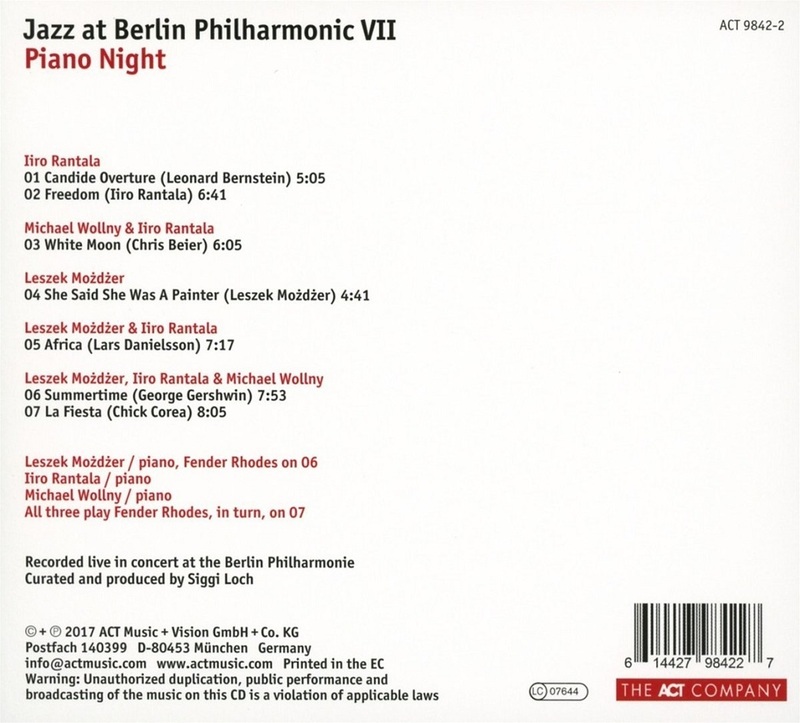 After more than a dozen ‘Jazz at Berlin Philharmonic‘ concerts – all of them completely sold out, with all three pianists returning, individually, from other formations – it was exciting to listen out for how the three had developed in the interim since that first concert together. Finnish pianist Iiro Rantala has been integrating completely new colours into his playing – “melodies full of clarity and beauty”, as the Stern, one of Germany’s leading magazines, described them, have become a focus for his artistry. The two solo albums ‘Lost Heroes’ (from 2011) and ‘My Working Class Hero’ (a tribute for what would have been the 75th birthday of John Lennon in 2015) finally gave him a major international profile. Artistic integrity, a respect for the power of melody and the freedom he has when soloing – Rantala brings all of these elements to the fore with total conviction in his composition ‘Freedom’. 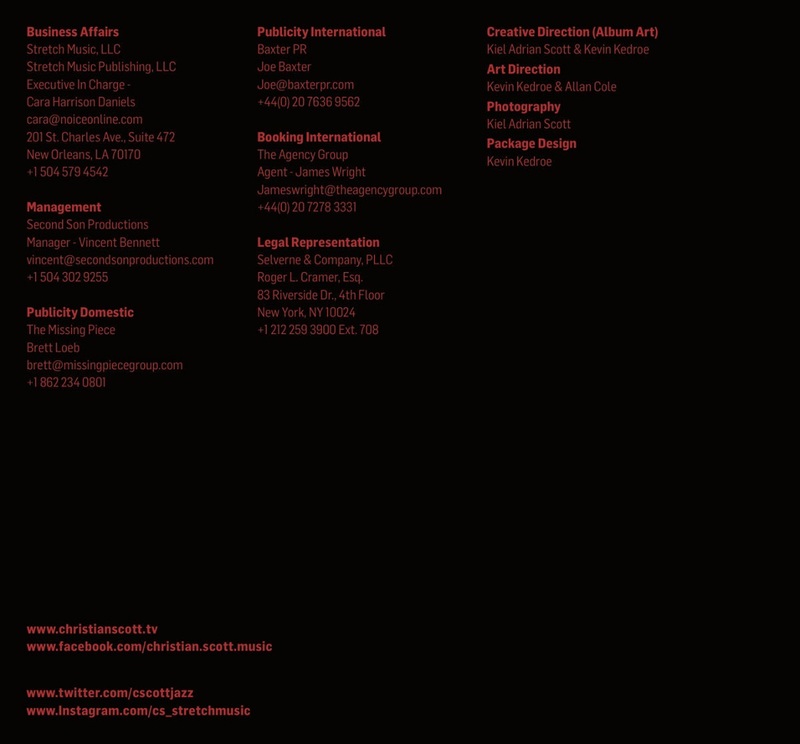 Michael Wollny has also found his artistic freedom – something he has worked towards for ten years. It was with ‘Weltentraum’ (2014) and ‘Nachtfahrten’ (2015), however, that word really started to get round that there was a quite exceptional pianist in Germany, a “complete master of the piano” (Frankfurter Allgemeine Zeitung, FAZ), a musician who seems to be able to find his own surprising solution to every kind of musical or aesthetic proposition. 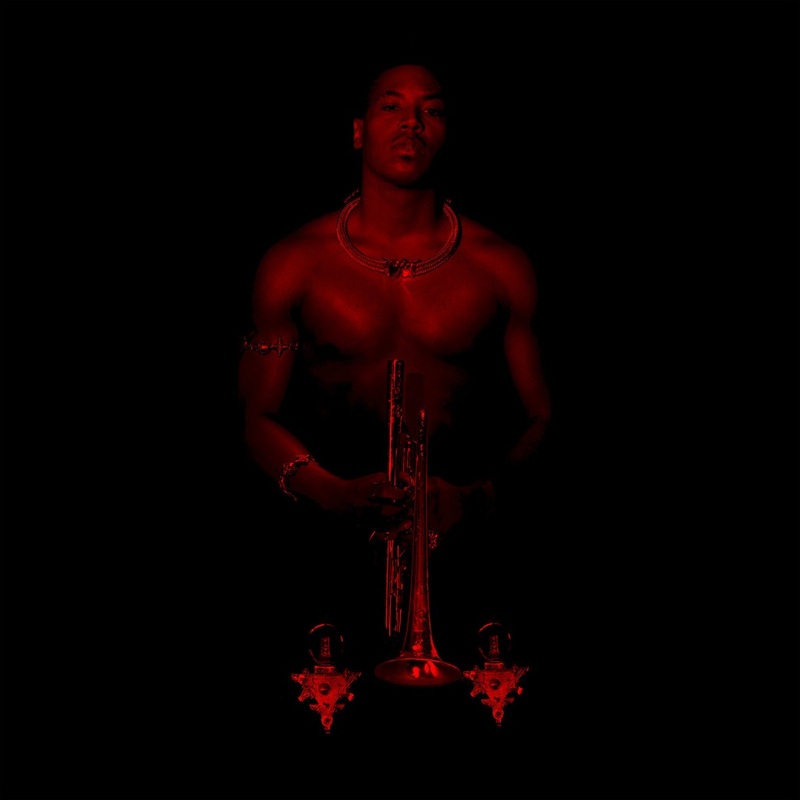 He certainly does that on this album in a duo with Iiro Rantala – ‘White Moon’, a composition by his most important early teacher Chris Beier, who was also the first to spot Wollny’s potential. There remains the Polish “phenomenon” (Süddeutsche Zeitung) Leszek Możdżer, who is the great romantic among European jazz pianists. His “filigree virtuosity with its light and shade is fascinating, hugely entertaining and nobody gets even close to what he can do as a craftsman of the contemporary piano” was the verdict of the German broadsheet FAZ. Możdżer’s ability to combine the simple with the difficult is something he demonstrates incomparably in the pictorial, almost filmic composition ‘She Said She Was A Painter’. The piano summit concert has its shape, its dramaturgy, building inexorably towards a grand finale with all three pianists on the stage together. First there is the soulful heat of Gershwin's ‘Summertime’, and then a wild ride through Chick Corea’s ‘La Fiesta’. It is in moments like these, as the pianists play their multi-dimensional games of pursuit and avoidance, that the true spirit of this concert series emerges. 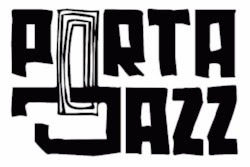 The thrill, the tingle and the danger of these exceptional live encounters are part of the jazz tradition, but have been updated to send a buzz of excitement around today’s technology-fixated audience. 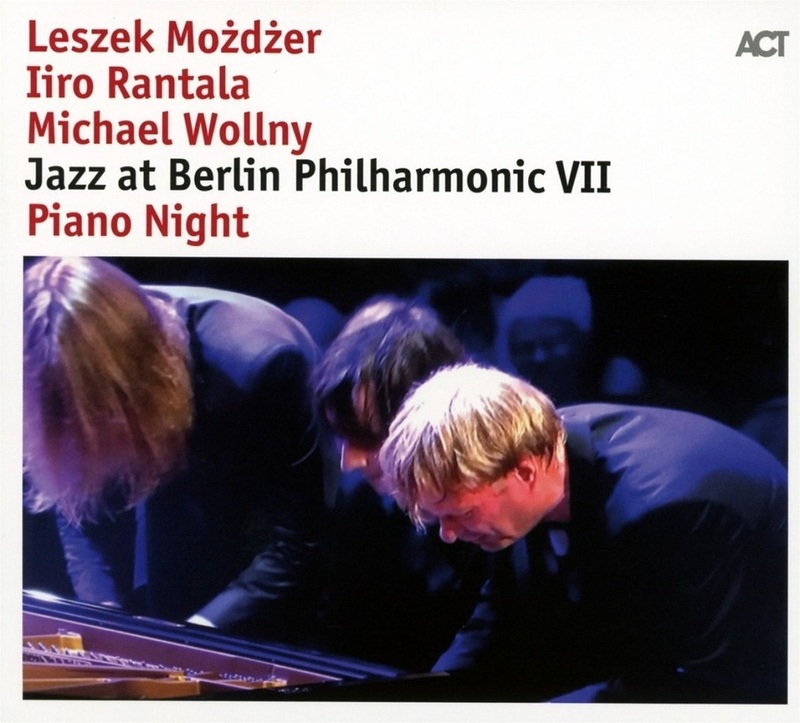 Iiro Rantala’s ‘Olé!’ at the end of this concert didn’t just resonate in the hall in Berlin at the moment of triumph. It is a powerful and durable expression of the effect of live music at its absolute best.